The Staatsoper Stuttgart is a German opera company based in Stuttgart, Germany. The Staatsorchester Stuttgart serves in its pit. Krefeld, also known as Crefeld until 1929, is a city in North Rhine-Westphalia, Germany. It is located northwest of Düsseldorf, its centre lying just a few kilometres to the west of the river Rhine; the borough of Uerdingen is situated directly on the Rhine. Krefeld is accessed by the autobahns A57 (Cologne–Nijmegen) and the A44 (Aachen–Düsseldorf–Dortmund–Kassel). The Cologne Opera refers both to the main opera house in Cologne, Germany and to its resident opera company. Richard Georg Strauss was a leading German composer of the late Romantic and early modern eras. He is known for his operas, which include Der Rosenkavalier, Elektra, Die Frau ohne Schatten and Salome; his Lieder, especially his Four Last Songs; his tone poems, including Don Juan, Death and Transfiguration, Till Eulenspiegel's Merry Pranks, Also sprach Zarathustra, Ein Heldenleben, Symphonia Domestica, and An Alpine Symphony; and other instrumental works such as Metamorphosen and his Oboe Concerto. 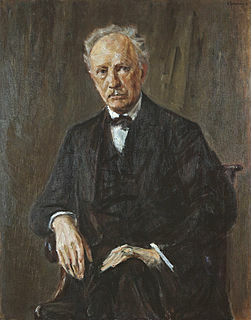 Strauss was also a prominent conductor in Western Europe and the Americas, enjoying quasi-celebrity status as his compositions became standards of orchestral and operatic repertoire. She appeared at the Vienna State Opera from 1958, and later had a guest contract, performing nine roles until 1970, including Zerbinetta, Konstanze, Susanna, Marzelline, Pamina in Mozart's Die Zauberflöte , Gilda and Sophie. At the Salzburg Festival, she performed in 1961 as Konstanze, conducted by István Kertész and again alongside Wunderlich. She toured in Europe and to the Americas. Pütz retired from the stage in Stuttgart in the 1994/95 season. The Salzburg Festival is a prominent festival of music and drama established in 1920. It is held each summer in the Austrian town of Salzburg, the birthplace of Wolfgang Amadeus Mozart. One highlight is the annual performance of the play Jedermann (Everyman) by Hugo von Hofmannsthal. István Kertész was an internationally acclaimed Jewish Hungarian orchestral and operatic conductor who, throughout his brief but distinguished career led many of the world's great orchestras, including the Cleveland, Chicago, Philadelphia, New York, Los Angeles, Pittsburgh, Detroit, San Francisco and Minnesota Orchestras in the United States, as well as the London Symphony, Vienna Philharmonic, Berlin Philharmonic, Royal Concertgebouw Orchestra, Israel Philharmonic, and L'Orchestre de la Suisse Romande. His orchestral repertoire numbered over 450 works from all periods, and was matched by a repertoire of some sixty operas ranging from Mozart, Verdi, Puccini and Wagner to the more contemporary Prokofiev, Bartók, Britten, Kodály, Poulenc and Janáček. Kertész was part of a rich musical tradition that produced fellow Hungarian conductors Fritz Reiner, Antal Doráti, János Ferencsik, Eugene Ormandy, George Szell, János Fürst, Ferenc Fricsay, and Sir Georg Solti. Johann Sebastian Bach's Magnificat, BWV 243.2, BWV 243, is a musical setting of the biblical canticle Magnificat. It is scored for five vocal parts, and a Baroque orchestra including trumpets and timpani. It is the first major liturgical composition on a Latin text by Bach. Hertha Töpper is an Austrian contralto opera singer. Gerhard Unger was a German lyric tenor. Born in Bad Salzungen, he studied in Berlin and began singing concerts and oratorios in 1945, once the war was over. Edita Gruberová, is a Slovak coloratura soprano. She is noted for her great tonal clarity, agility, dramatic power, endurance, and ability to sing high notes with great power and sustained vocal consistency, which made her an ideal Queen of the Night in her early years. In recent years, she has enjoyed huge success with a number of the most important bel canto roles. Natalie Dessay is a French singer and actress who had a highly acclaimed career as an operatic coloratura soprano before leaving the opera stage on 15 October 2013. Christine Schäfer is a German soprano. Wilma Lipp was an Austrian operatic soprano and academic voice teacher. A long-time member of the Vienna State Opera, she was particularly associated with the role of the Queen of the Night in Mozart's Die Zauberflöte, a role she performed internationally, more than 400 times. She was awarded the title Kammersängerin at age 28, and was an honorary member of the Vienna State Opera, among other honours. Sári Barabás was a Hungarian operatic soprano, particularly associated with coloratura roles. Simone Kermes is a German coloratura soprano, especially known for her virtuoso voice, suited to the opera seria genre of the Baroque and early Classical period. Ruth Welting was an American operatic soprano who had an active international career from the early 1970s through the mid-1990s. A specialist in the coloratura soprano repertoire, she was particularly associated with the Metropolitan Opera where she performed regularly from 1976 until her retirement from performance in 1994. Endowed with a powerful coloratura voice, she is remembered as one of a few sopranos capable of singing the Mad Scene from Lucia di Lammermoor in the original F major key. Eva Mei is an Italian coloratura soprano. Albina Anvarovna Shagimuratova is a Russian coloratura soprano, particularly known for singing the Queen of the Night in Mozart's Die Zauberflöte, which she has sung for a decade with Houston Grand Opera, the Salzburg Festival, the Lucerne Festival, San Francisco Opera, Vienna State Opera, Teatro alla Scala, Liceu and The Royal Opera, London. In 2018 she recorded the Queen of the Night for Deutsche Grammophon and performed it in Salzburg. 2016 saw her role debut as Konstanze in Mozart's Die Entführung aus dem Serail at the Metropolitan Opera in New York City and the title role in Semiramide at the BBC Proms; this was recorded for Opera Rara. The Semiramide recording won an award at the International Classical Music Awards (ICMA) 2019. Kathleen Kim is a Korean-American operatic coloratura soprano. Her repertoire includes roles in operas by Handel, Mozart, Donizetti, Verdi and Offenbach, among others, as well as in oratorios such as the Messiah and sacred works such as Mozart's Great Mass in C minor. Karin Ott is a Swiss operatic coloratura soprano. Lenneke Ruiten is a Dutch soprano, born 1984 in Velsen, Netherlands. Ruiten studied at the Music Conservatory in Alkmaar and the Conservatorium van Amsterdam, the Royal Conservatory of The Hague, Hochschule für Musik und Theater München in Munich, and at the Franz Schubert Institut in Baden bei Wien near Vienna. Krisztina Laki is a Hungarian coloratura soprano who worked mainly on the opera stage in Germany, with guest appearances in major European opera houses. She has held master classes internationally. Ilse Hollweg was a German operatic coloratura soprano. A member of the Deutsche Oper am Rhein, she appeared at major European opera houses and festivals including the Bayreuth Festival and the Glyndebourne Festival. Margot Guilleaume was a German operatic soprano, a member of the Hamburgische Staatsoper. She was an academic teacher at the Musikhochschule Hamburg from 1950 to 1978, and was known beyond Germany as a singer in oratorio and concert. Simone Schneider is a German operatic soprano. As a member of Staatstheater am Gärtnerplatz, she performed coloratura roles such as the Mozart's Queen of the Night. As a member of the Staatsoper Stuttgart from 2006, she has performed a wide range of leading roles including Donizetti's Maria Stuarda and the Feldmarschallin in Der Rosenkavalier by Richard Strauss. She performed as a guest in major opera houses in Germany and Europe. Lotte Schädle is a German soprano in opera, operetta, lied and concert. Sylvia Geszty, real name Sylvia Maria Ilona Wytkowsky was a Hungarian-German operatic coloratura soprano, who appeared internationally, based first at the Staatsoper Berlin in East Berlin and from 1970 at the Staatstheater Stuttgart. She is remembered as Mozart's Queen of the Night and an ideal Zerbinetta in Ariadne auf Naxos, but also performed Baroque opera and in the world premiere of Kurt Schwaen's Leonce und Lena. Liselotte Becker-Egner was a German operatic soprano and voice teacher. 1 2 3 4 Käther, Matthias (1 June 2018). "Ruth-Margret Pütz: Recital" (in German). Kulturradio rbb. Retrieved 5 April 2019. 1 2 3 4 5 6 7 8 Kutsch, K. J.; Riemens, Leo (2012). Pütz, Ruth-Margret. Großes Sängerlexikon (in German) (4 ed.). Walter de Gruyter. p. 3784. ISBN 978-3-59-844088-5. 1 2 3 4 5 6 7 Cookson, Michael (December 2018). "Ruth-Margret Pütz (soprano) / Recital". musicweb-international.com (in German). Retrieved 5 April 2019. 1 2 Winter, Rüdiger. "Zum Tode von Ruth-Margret Pütz" (in German). operalounge.de. Retrieved 5 April 2019. ↑ Pfister, Werner (2015). Fritz Wunderlich: Eine Biografie (in German). Schott Music. p. 241. ISBN 978-3-79-578612-0. ↑ "Ruth-Margret Pütz" (in German). Bayreuth Festival . Retrieved 5 April 2019. ↑ "Vorstellungen mit Ruth-Margret Pütz" (in German). Vienna State Opera . Retrieved 5 April 2019. ↑ "Wolfgang A. Mozart: Die Entführung aus dem Serail" (in German). Salzburg Festival . Retrieved 5 April 2019. ↑ "Hans Grischkat & Stuttgart Choral Society & Bach Orchestra / Bach Cantatas & Other Vocal Works / Recordings - Part 2". Bach Cantatas Website. Retrieved 5 April 2019. ↑ "Requiem KV 626". Library of Congress . Retrieved 7 April 2019. ↑ "Ruth-Margret Pütz". stuttgart-gedenkt.de (in German). 6 April 2019. Retrieved 5 April 2019. ↑ "Ruth-Margret Pütz - Vol. 1 (3 CD)". vocal-classics.com (in German). Retrieved 5 April 2019. ↑ "Ruth-Margret Pütz - Vol. 2 (2 CD)". vocal-classics.com (in German). Retrieved 5 April 2019. ↑ "Ruth-Margret Pütz - Vol. 3 (2 CD)". vocal-classics.com (in German). Retrieved 5 April 2019. ↑ "Ruth-Margret Pütz - Vol. 4 (2 CD)". vocal-classics.com (in German). Retrieved 5 April 2019. ↑ Waltenberger, Ingobert (27 March 2019). "Ruth-Margret Pütz: Arien und Ensembles aus Opern von Mozart, Nicolai, Donizetti, Verdi und Strauss / "La Stupenda" aus Krefeld" (in German). Online Merker. Retrieved 7 April 2019.